There was another problem that you would face with regard to having a Bible in Luther’s day—you probably could not read a word of it once you managed to scrape together sufficient funds to have a copy in hand. In Germany overall literacy has been estimated by some to have been as low as five per cent in rural areas, which was where the majority of people lived; in the cities, up to thirty percent of the residents could read. For women, the literacy statistics are even more dismal. If your work did not require the ability to read, you would likely remain illiterate. The translation and publication of the Bible into German, French, English, and other languages motivated many to become literate so they could learn the Word of God. The Reformation not only reformed the church but also contributed to the improvement of education, because full application of sola Scriptura required literacy. Bible inaccessibility and illiteracy were not the only notable aspects of social and economic life in the Reformation era. 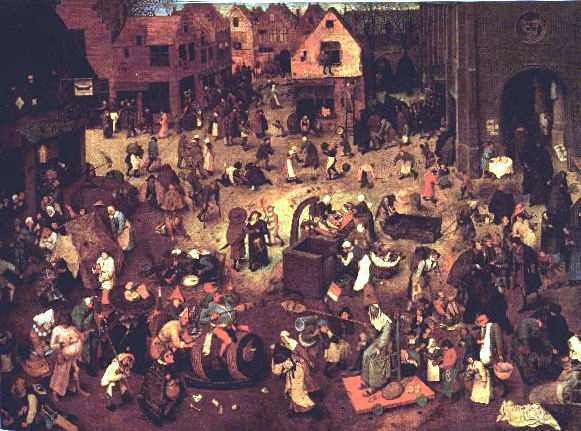 In the sixteenth century, you would likely find the stratified class system politically incorrect from today’s perspective. However, the progressive disintegration of feudalism through the fourteenth and fifteenth centuries resulted in some slow changes. Those designated “serfs” in feudalism became “peasants.” With the change in name came improvements in lifestyle that included a few new but limited freedoms. Despite peasants’ liberty to relocate, the privilege was often stymied by their poverty and the need to lease land. Under feudalism, land was held by the nobility, and the serfs were bound to use it without choice; in the Reformation era peasants rented land from the royals and from a growing class of property owners who were called, in England, “gentry.” The gentry included the families of gentlemen, and land was a key aspect of the class. In Europe, land ownership by common folk was practically unknown not only because of their poverty but also because landowners held title to their estates in perpetuity. In Luther’s day, the concentration of land in the hands of a small group of owners, as had been the case with feudalism, still existed, but the addition of classes such as the gentry increased the landholding population. The strong sense of keeping family property to provide inheritance to successive generations made land the anchor of any estate. Sixteenth-century life was difficult, dangerous, and short. Life expectancy was about 40-45 years for men and a bit more for women. If you were blessed to make it to 30 you were likely to achieve a year short of three score. John Calvin died just short of his 55th birthday, John Knox achieved 58, and Martin Luther survived to the ripe old age of 63. Mothers dying as a result of childbirth occurred about 25 times for each 1,000 births, which in the case of England is a particularly distressing statistic because a woman averaged six births. If childbirth for a mother or a work accident for the father did not do them in, there were always sicknesses and calamities. The biological woes of the day included “the pox” (smallpox), “English sweating sickness,” some virulent forms of influenza, and plagues that were helped along their infecting paths by a general lack of sanitation and rampant opportunities for contact with germ-infested waste. If bad meat, fish, or eggs purchased from a nomadic opportunist vendor did not kill you, it is likely you would wish it had, because the doctor’s attempted cure was often not only useless but added suffering to your death experience. Fire was the electricity of the day because it illuminated, heated, cooked, forged, and unfortunately, was used to execute criminals and the politically disfavored at the stake. Fire was one’s friend, but it was also a destructive enemy. It found densely-populated cities to be playgrounds where it could hop, skip, and jump from one abutting wooden building to the next. Fire especially loved the convenient tinder provided by thatched-roof houses. The next time you pick up your Bible it should remind you of the saints of yore who sometimes made considerable sacrifices to own the Word. Living in Luther’s day appears from a twenty-first century perspective to have been brutal, but any generation faces unique difficulties, challenges, and desperate situations. The problems today differ in many ways from those of the past, but apart from the state of innocence in Eden, all generations have had to deal with sin and associated aspects of the curse that frustrate and obstruct peace and success. In Luther’s day, there were many problems that could not be overcome, while currently there are so many blessings God has provided for longer lives to glorify and enjoy him. So, count your many blessings and name them one by one, whether they are material, social, political, educational, technological, or medical, but most of all thank the Lord for sola Scriptura and the blessing of your copy of the Bible which teaches you the gospel of God’s grace.